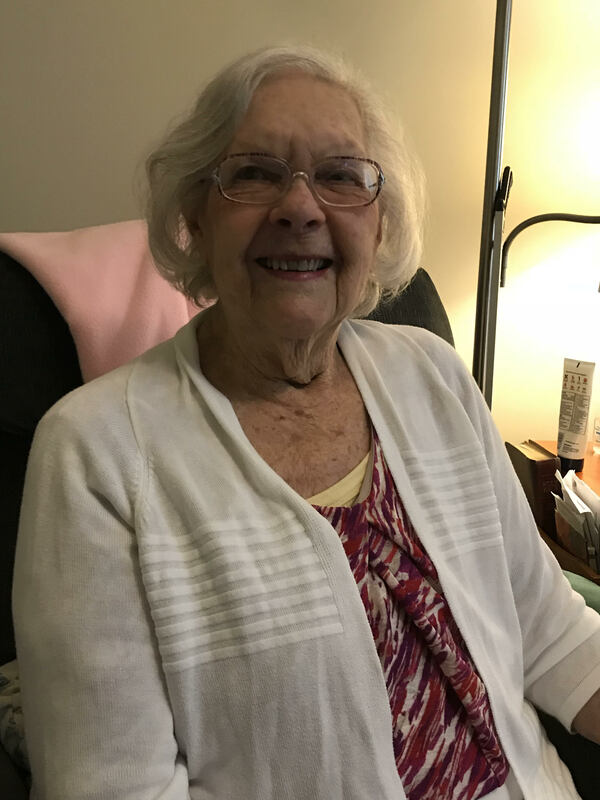 CULLMAN – Young Sarah McCravy Mann was the oldest of five children and grew up on the family’s farm off Battleground Road in west Cullman County. Her daddy taught her how to plant the watermelon and cantaloupe seeds just right. On weekends, her daddy would load up the truck with the melons, green beans and other vegetables to sell at markets in Birmingham. In 1936, Sarah and her family moved in with her grandmother, who had adopted a little girl. Sarah was now the oldest of six children. Shortly after the move, as Sarah’s ninth birthday approached, her mother passed away. As the oldest child, Sarah now had the responsibility of helping to raise her siblings. Sarah attended Ebenezer School through the sixth grade. She then went to West Point High School until her daddy bought a farm in east Cullman during her ninth-grade year. Sarah felt she was needed at home to help with her brothers and sisters. She left school and soon took a job washing sweet potatoes. Sarah’s daddy remarried and took a job at Southern Rubber in Birmingham. Commuting was not feasible at the time so Sarah stayed with her siblings in Cullman so they could finish school. The kids took turns taking the train to visit their daddy on weekends. The family attended Pleasant View Baptist, the neighborhood church. Soon Sarah met a young fellow who would walk her home from church. Sarah went on to marry that young man. Dwain Mann and Sarah married when she was 18 years old. He was the third of 12 children and worked in the dry-cleaning industry. The McCravys and Manns were both farming families. The Manns came to Cullman from Georgia in a wagon. The two large families were quite close. Dwain and Sarah waited six years before starting a family. They had four children: Brenda, Michael, Danny and Sheila. Sarah stayed home with the children but worked at home as a seamstress. The family moved to Arab in 1954 when Dwain took a job with New Way Cleaners. The young couple struggled, and by 1960, Sarah found herself alone with four young children. Sarah remained extremely close to the Mann family. After 13 years being separated, Dwain and Sarah reconciled in 1972. Dwain Mann suffered a stroke and passed away in 1977. The last few years have been difficult for Sarah. She was diagnosed with breast cancer and her oldest daughter, Brenda, was taking care of her during her successful treatment. Complaining of a back ache, Brenda went to the hospital. She was diagnosed with cancer that was in her lungs and had spread. Sadly, Brenda’s husband was also diagnosed with cancer. On Jan. 1, 2018, Brenda’s husband passed, and Brenda passed on Jan. 5. Sarah moved back to Cullman recently to be closer to her daughter Sheila Timmerman.